Originally shared as a guest post for Carrie This Home. 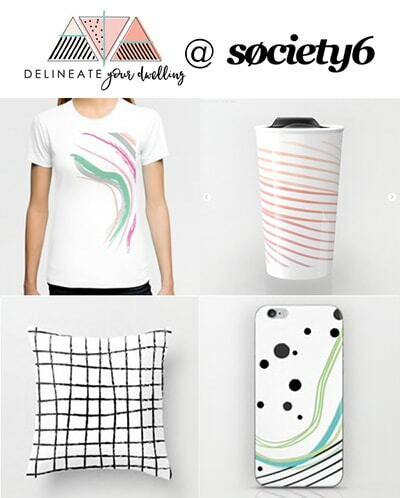 Today I have such a fun and simple project for you! This would be ideal to do with your kiddos, too. 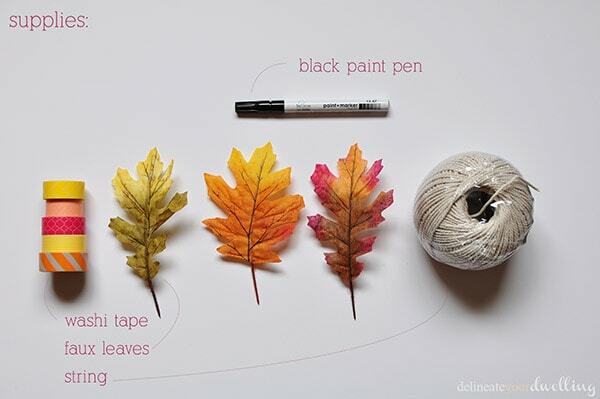 Head to your backyard and collect some lovely fall leaves. If you’re not the nature collecting type, you can use faux leaves like I did (I’m a nature lover but my leaves were all still green when I made this). 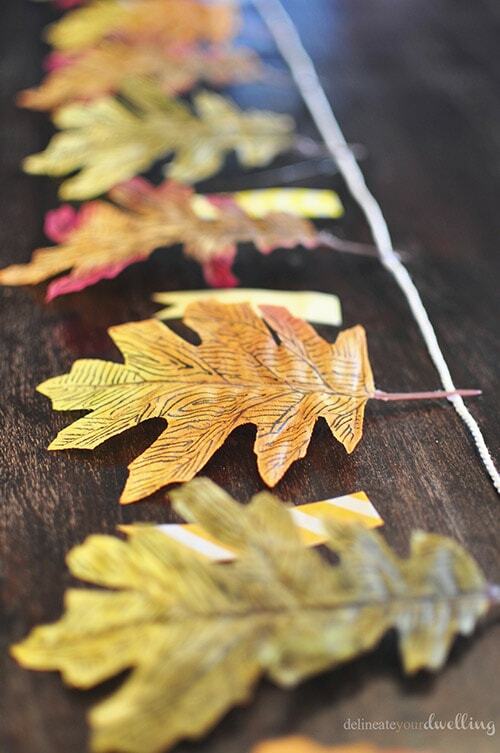 Today I am sharing my Embellished Leaf Garland. The first step for this project is to “embellish” your leaves. Using a black paint pen, I traced the veins of the leaves and then added additional lines until each leaf was completely covered. 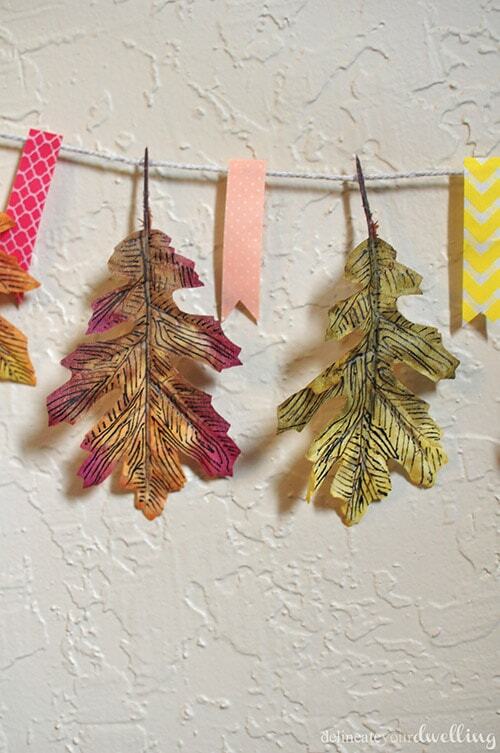 Then, I pulled out all my fun fall colored washi tape and created mini flags to add to the garland. Next, I laid out my string, the leaves and the washi tape flags. 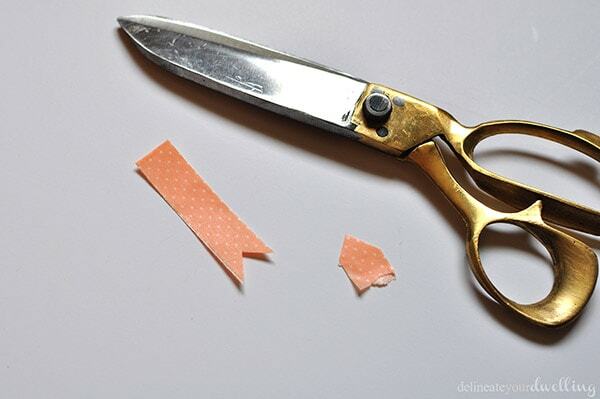 Using hot.glue I applied a small dot to the string and secured everything down. 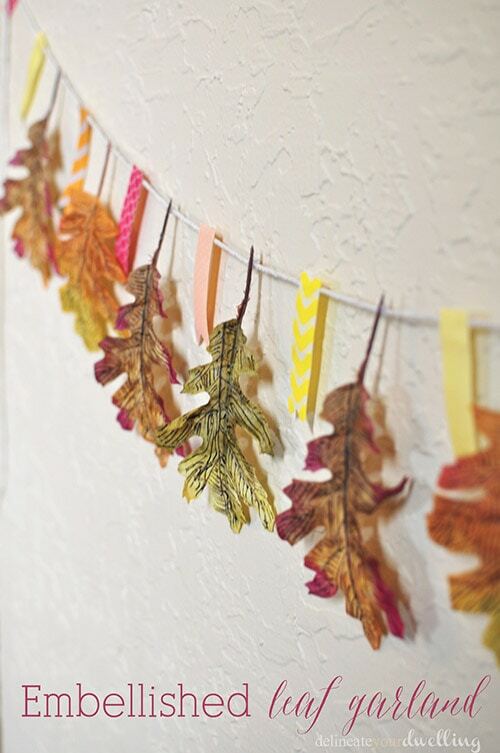 The finished product was this bright and colorful Embellished Leaf Garland. 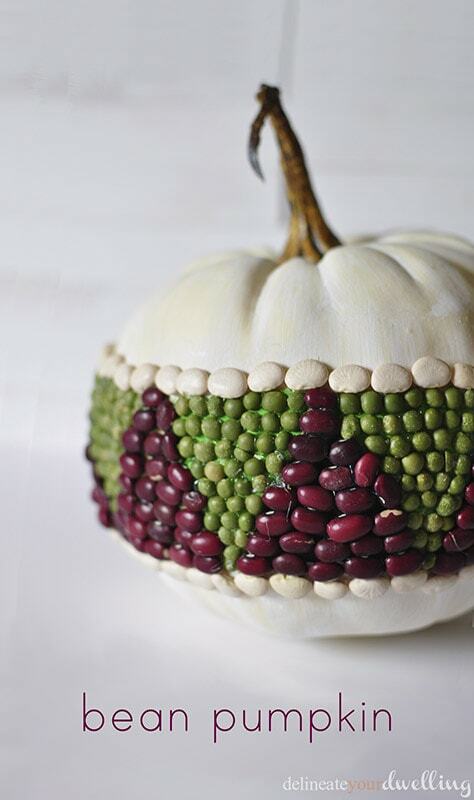 You might also like some of these other fun fall projects I’ve done. 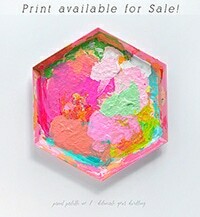 What a cute project!! I love it…so sweet & whimsical. 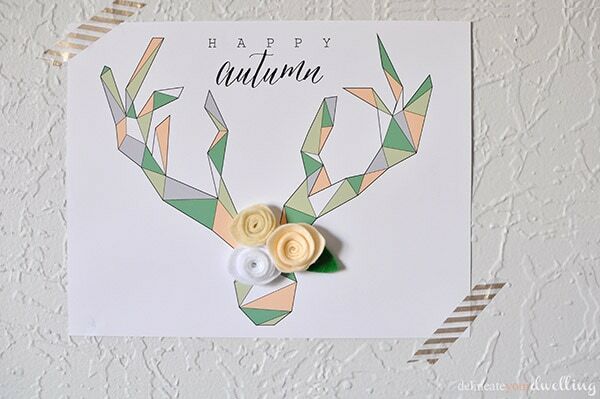 And I’m heading to check out that geometric deer printable ASAP! 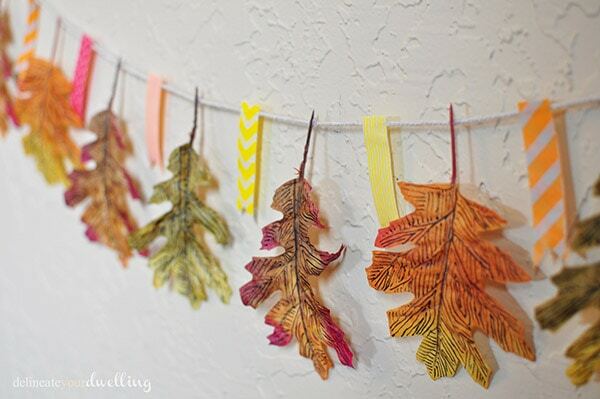 Cute garland! So fun and festive! Thanks for sharing! 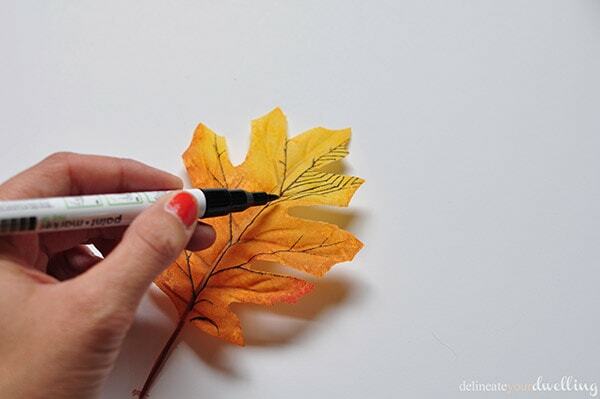 I love how you drew on the leaves! So cute, Amy! Thanks, Alexis! It was fun giving the leaves a bit of a “bark” textured look.